The P4000 Super Touring successfully combines tire characteristics that were generally considered, until now, to be mutually exclusive. It's an all-season, high-performance tire. Yet it also delivers outstanding comfort and treadlife. Which means superlative wet grip, hydroplaning resistance and snow traction of a world-class, all-season tire. But without the typical compromises of a noticeably harsher and noisier ride. Much of the credit for these significant refinements must go to Pirelli's extensive use of Computer Aided Engineering and Testing (CAE/CAT). As a result, the P4000 Super Touring's highly flexible sidewalll is better able to absorb the shocks from road suffices and obstacles without compromising its lateral or cornering stiffness. 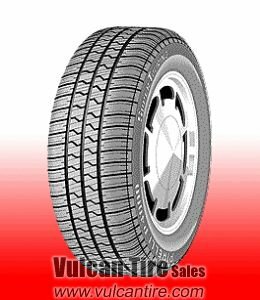 Excellent tire, purchased 87 Jaguar Vanden Plas which was equipped with this tire. Perfect for this heavy weight car and highway cruising.